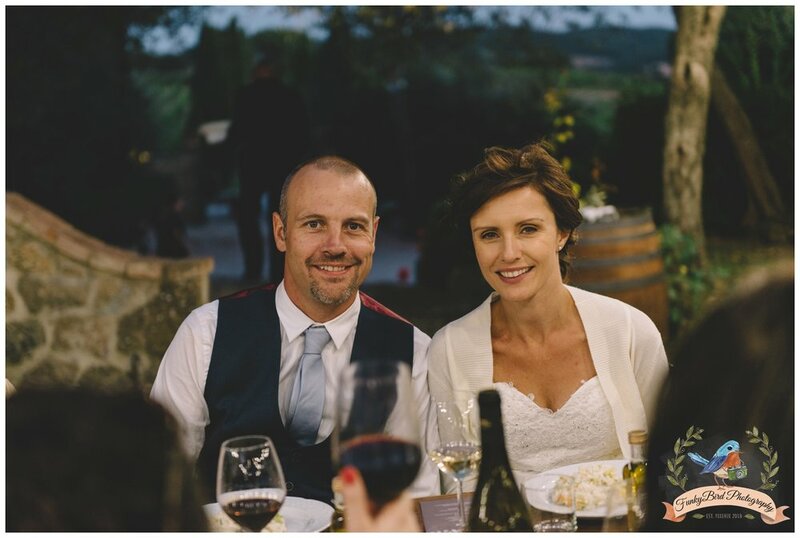 What a great couple Stephen and Marion are! 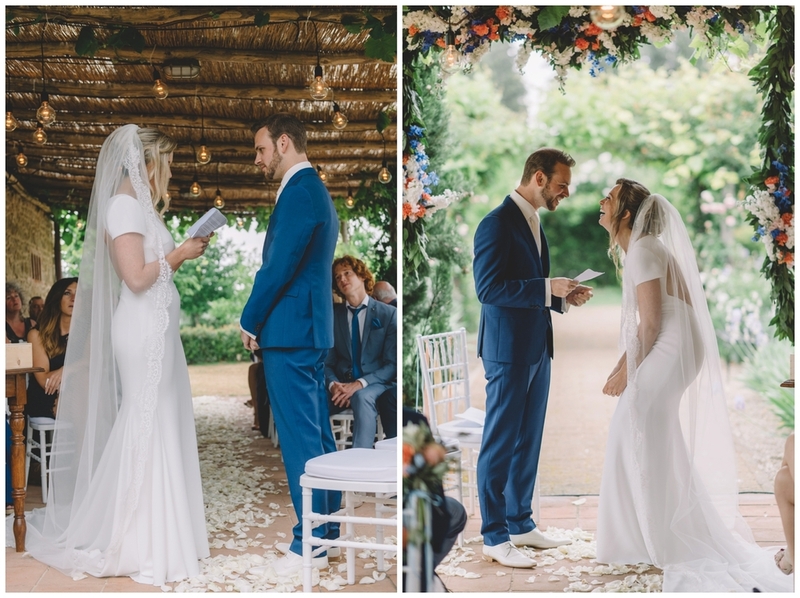 Clearly very much in love (as you can see on the photos). 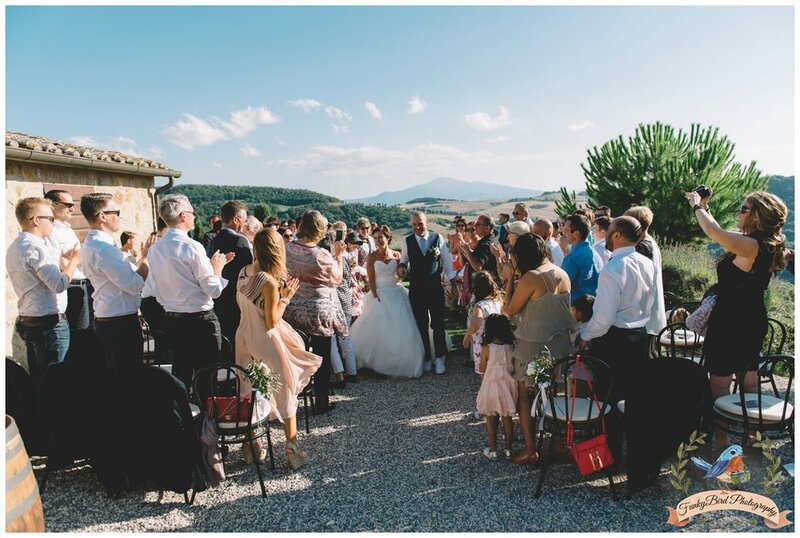 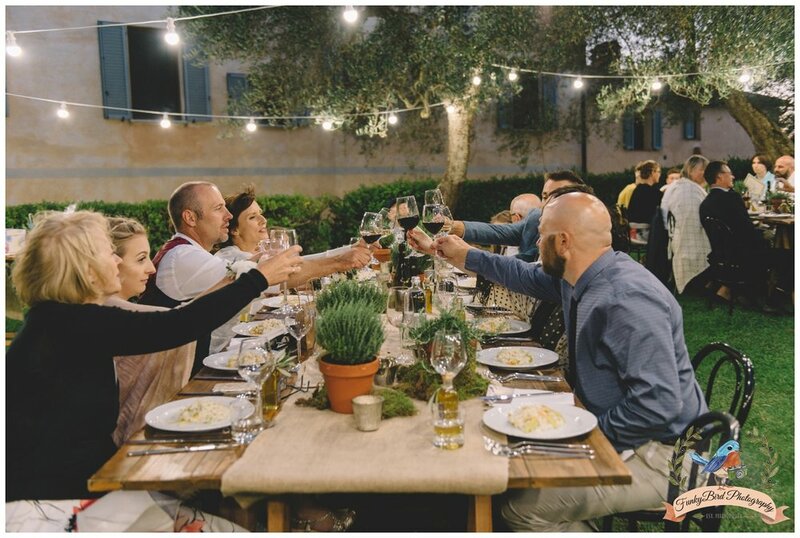 Being from Germany and Canada, the bride and groom had a lot of international guest blending in very well in this beautiful wedding location in Tuscany. 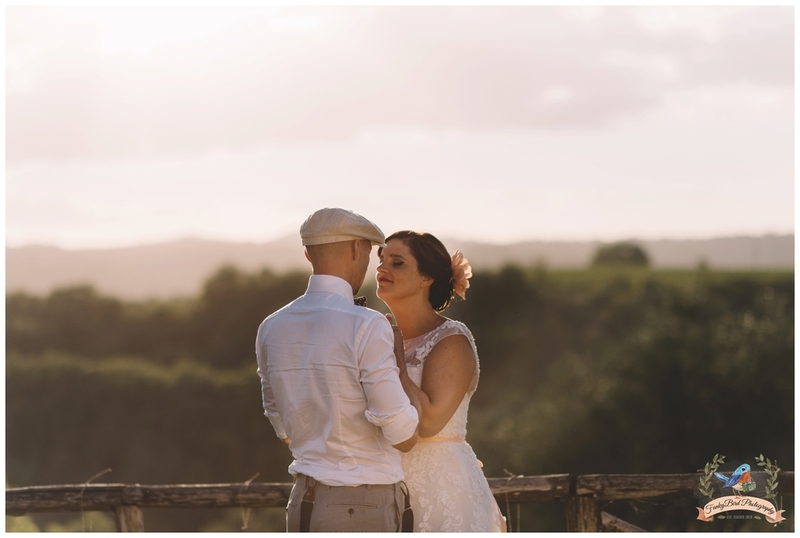 It is a stunning place for taking wedding photos, it ticked all the boxes! 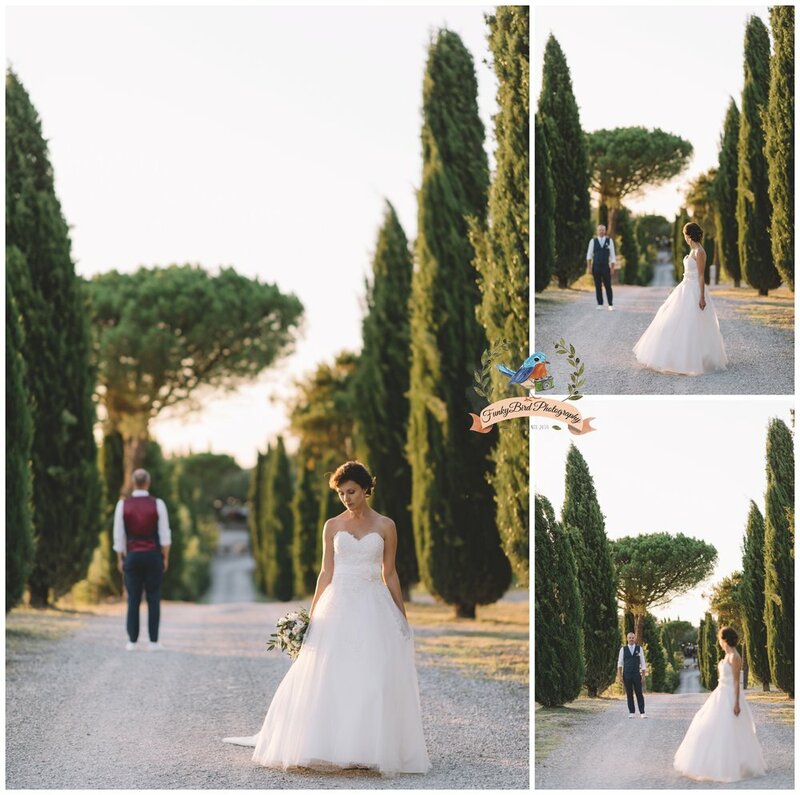 The astonishing view, olive groves, pretty vineyards, a great long entrance with beautiful cypresses on each side… what else you can ask for as a wedding photographer in Tuscany. 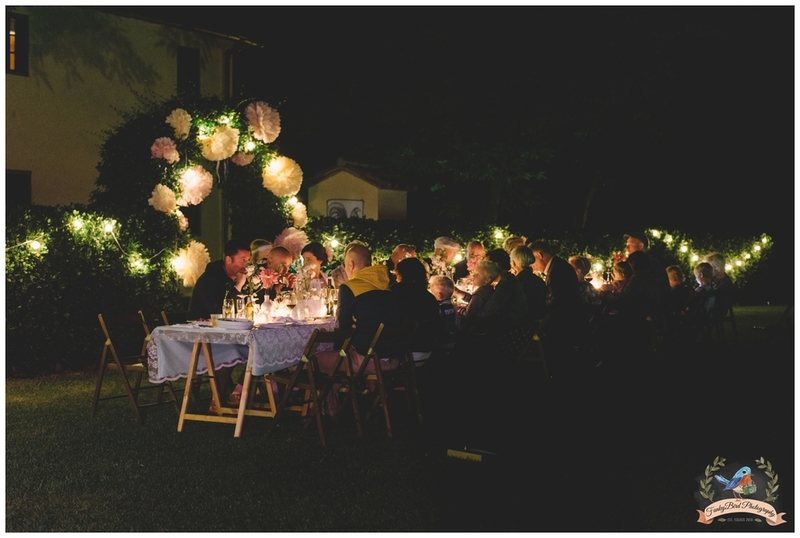 It is so important that the location chosen by wedding couples have some of those qualities. 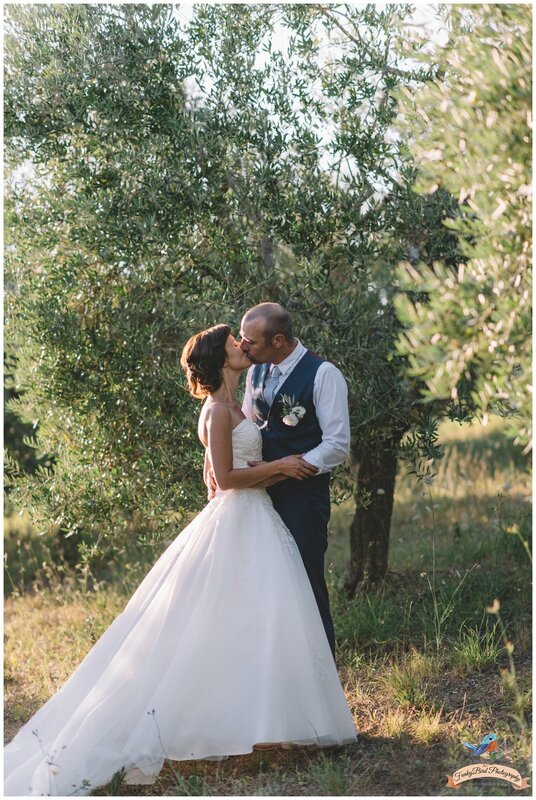 Very often the couple start they preparations by booking the wedding venue and then book me as their photographer, so I don’t often have the opportunity to advise them on what they should look when they are in search for a wedding venue in Tuscany. 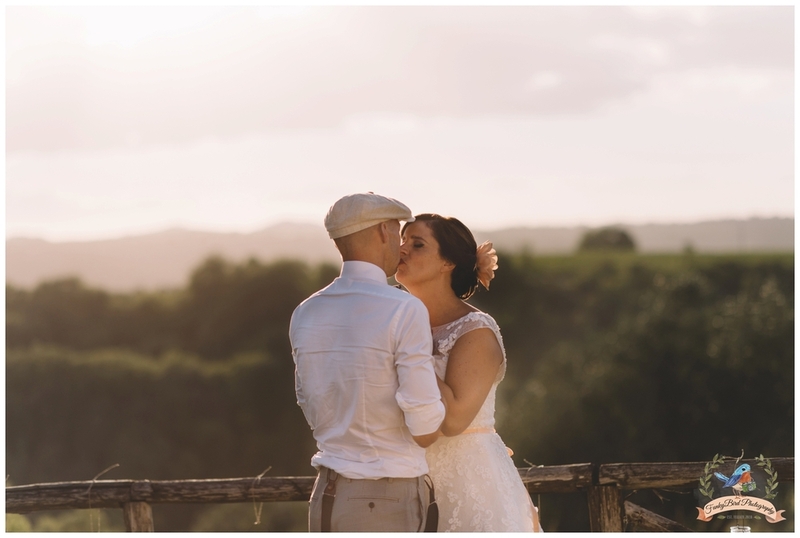 Sometimes I do get this chance and tell them to look around when they are visiting or at least look at a lot of photos from that location so they can get an idea for possible photo moments when the day comes. 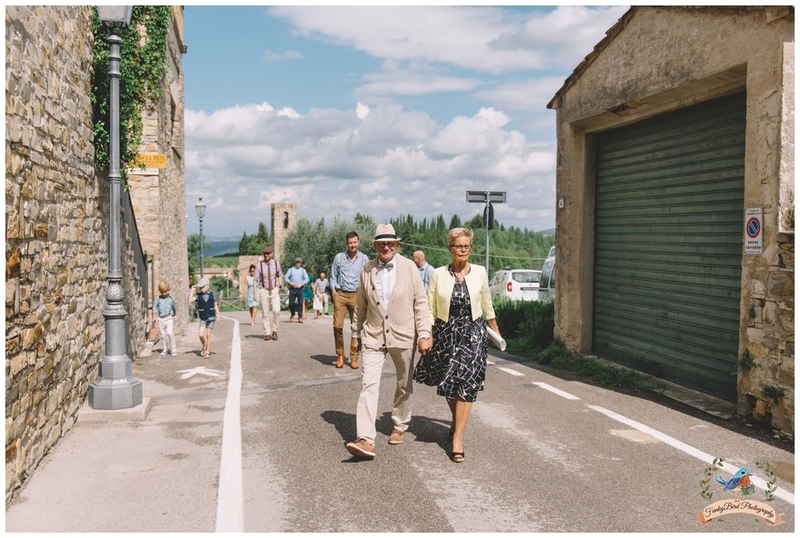 Sometimes the schedule for the day is pretty tight and we don’t have the opportunity to drive around in the surroundings. 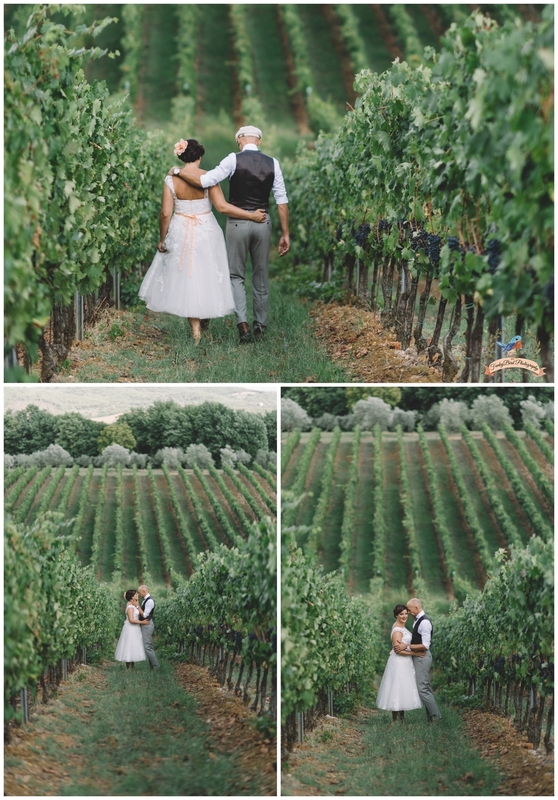 In these moments it is really great to have such a big variety of beautiful spots where we can take the couples for their photos. 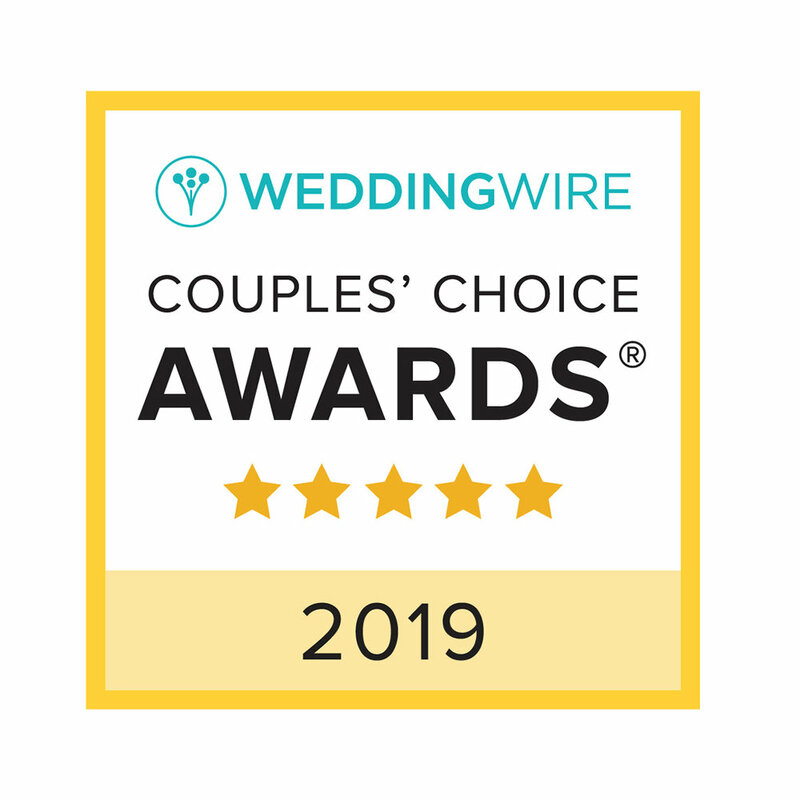 It is always nice getting this kind of reviews from my clients, it reminds me why I do what I do and pushes me even more to do a great job. 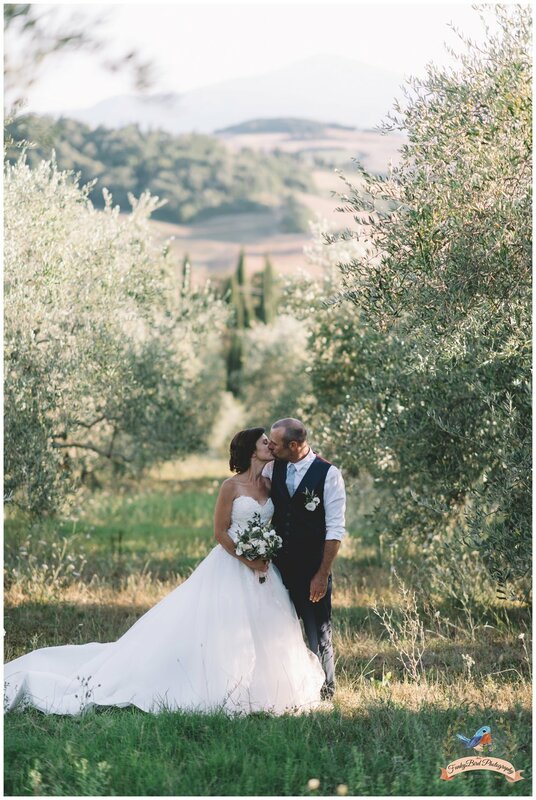 I have to give my compliments to the italian wedding planner Elena from Italian Wedding Designer who did a great job organising everything and help the day go so smoothly. 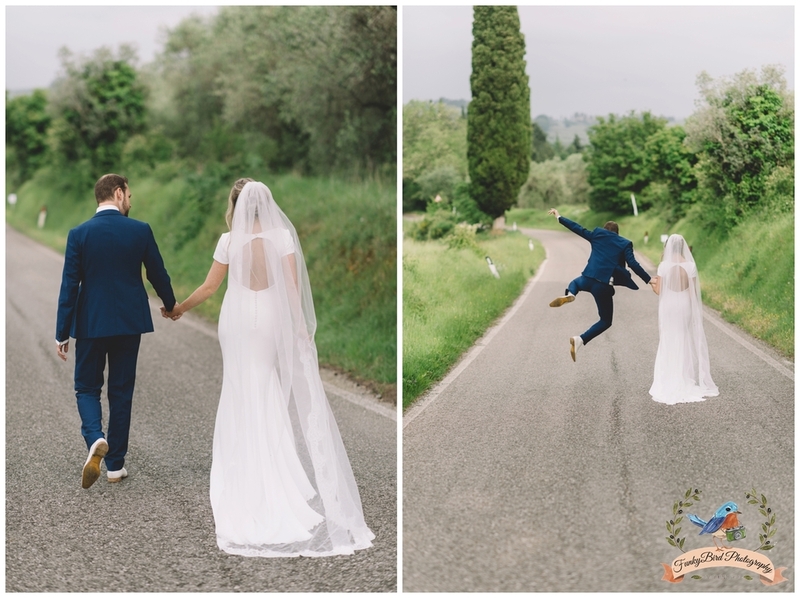 As a wedding photographer in Tuscany it is really nice when you have a couple who are really in love and also relax and have a lot of fun on their wedding day. 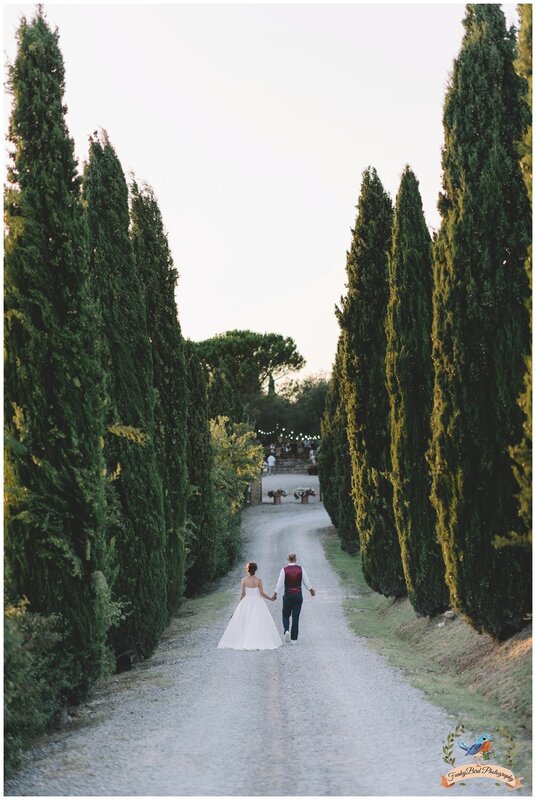 Their wedding venue in Tuscany is this cute borgo with a beautiful surroundings which everybody dreams when they getting married in Tuscany. 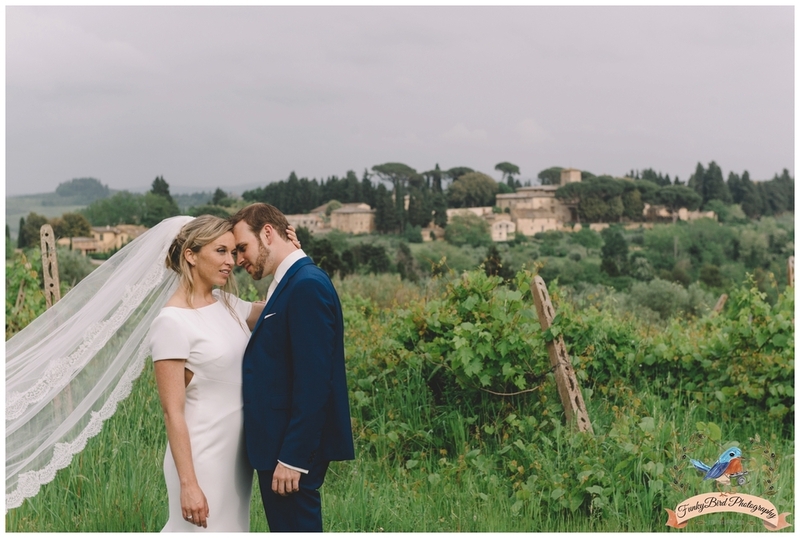 It was a cloudy day in May but we have been lucky to not have even a drop of rain that day. 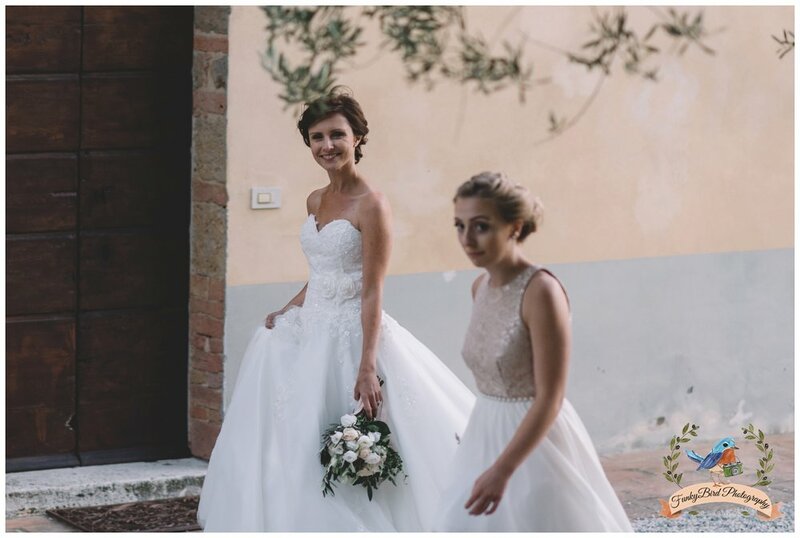 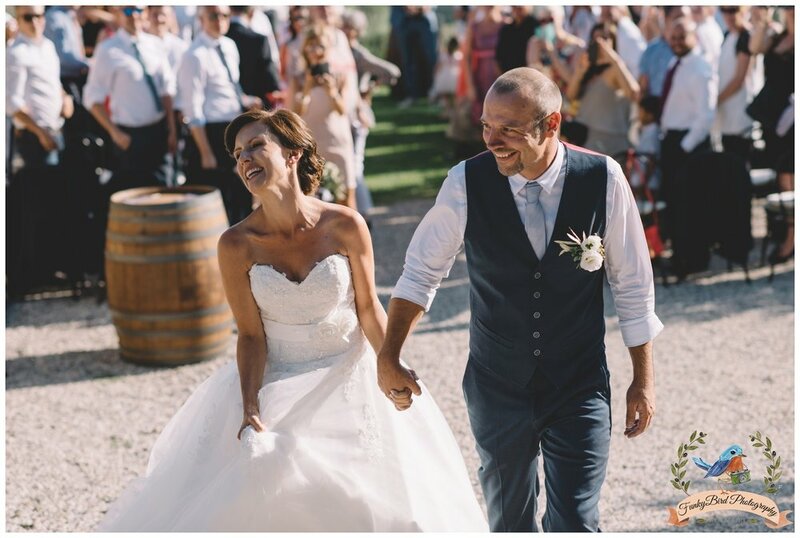 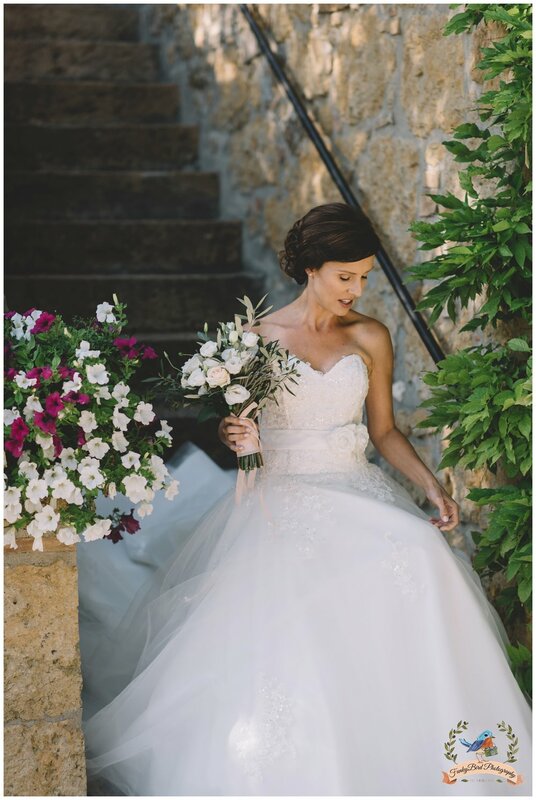 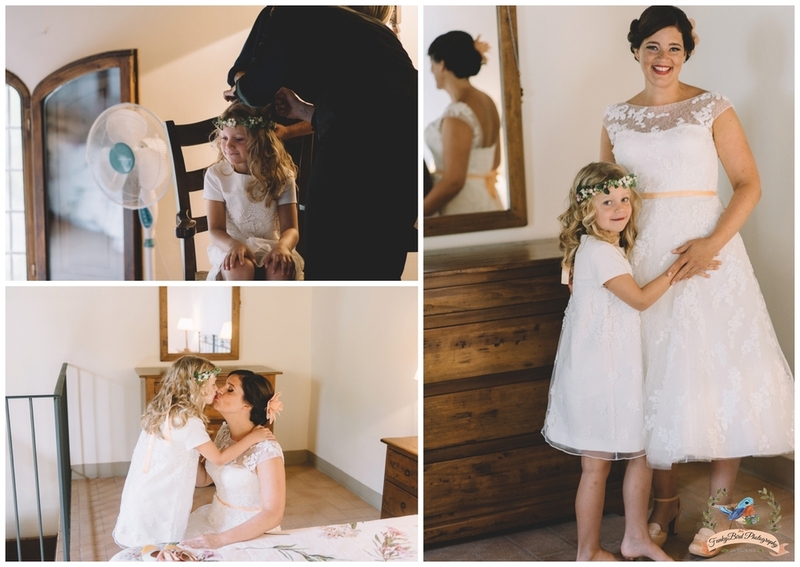 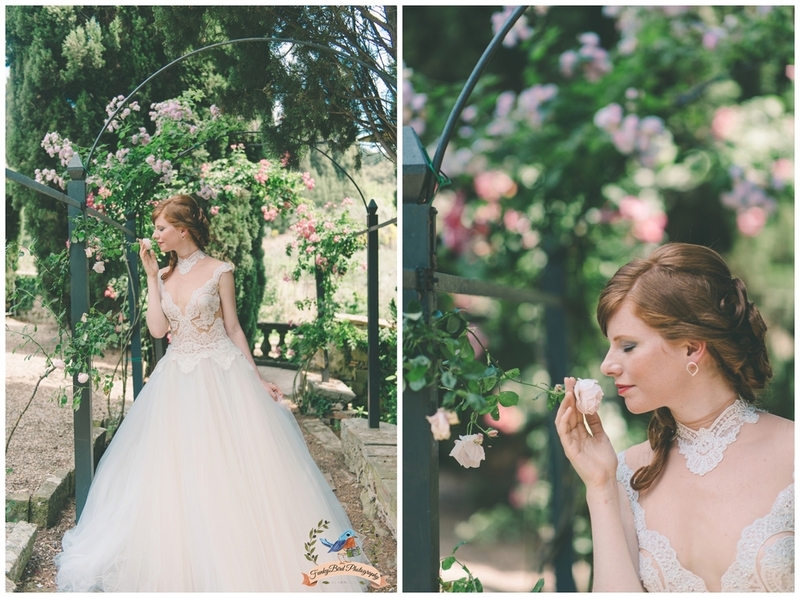 Bride had a beautiful wedding dress which looked incredible with the rustic background of tuscany and made the images of this wedding in Italy to pop up even more. 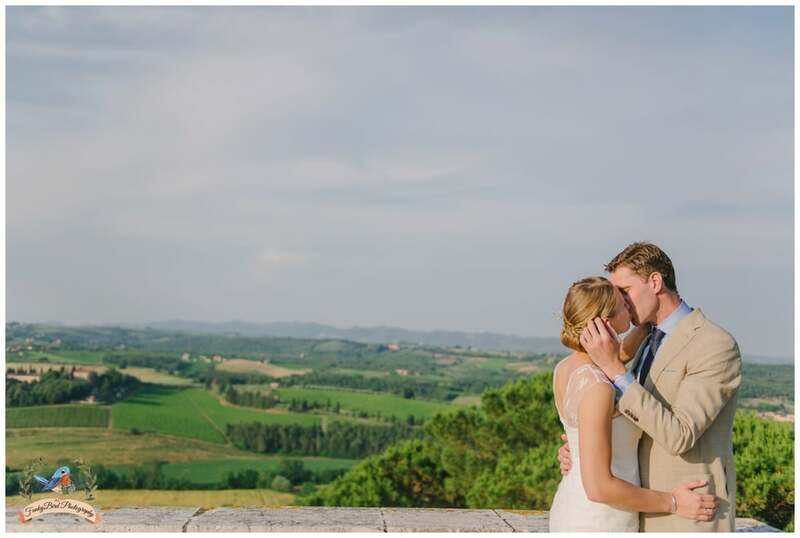 As a wedding photographer in Tuscany I travel back and forth al summer between Florence and Siena for weddings. 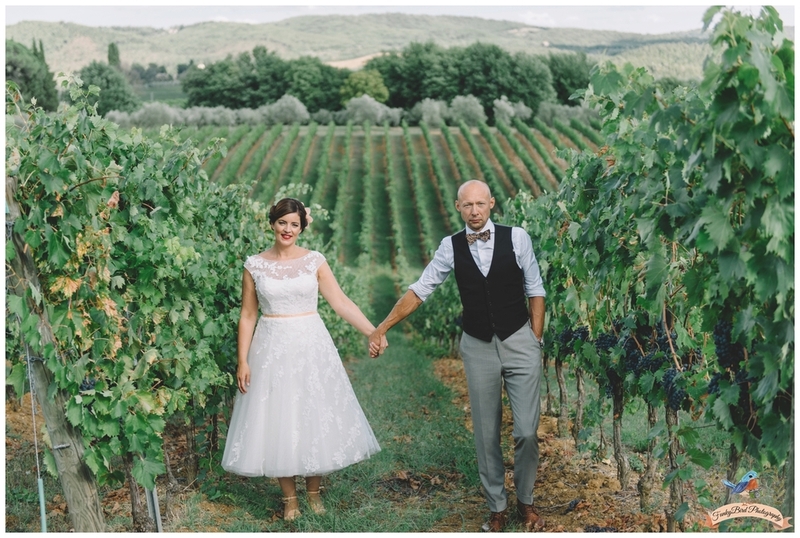 When I am not in one of those two incredible cities then I’ll be in the beautiful region in between called Chianti region which is probably my favourite one for weddings in Tuscany. 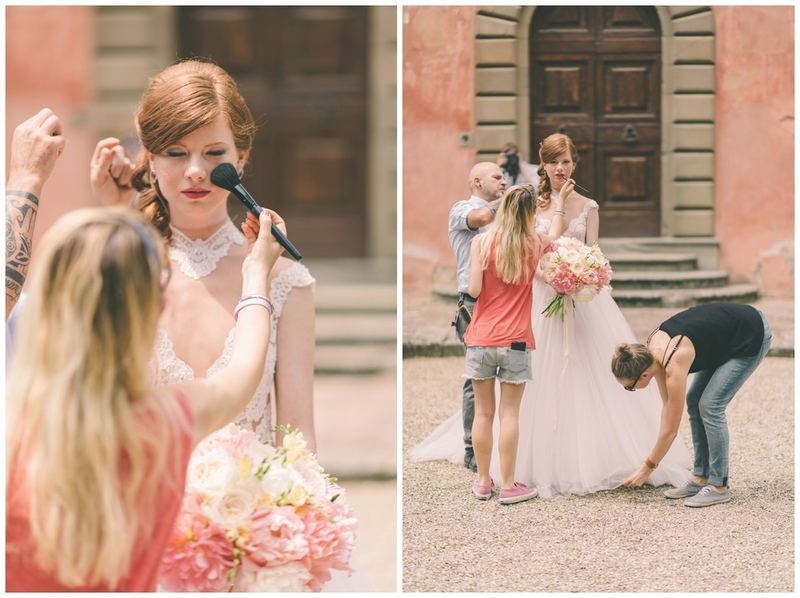 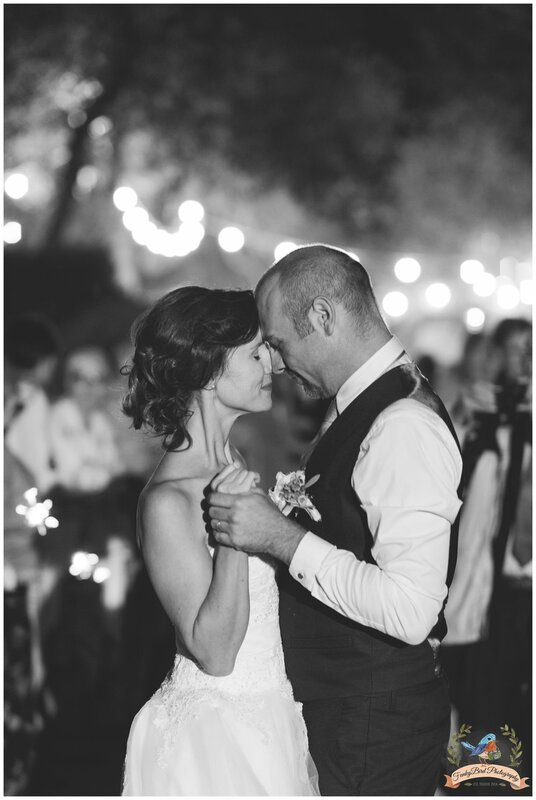 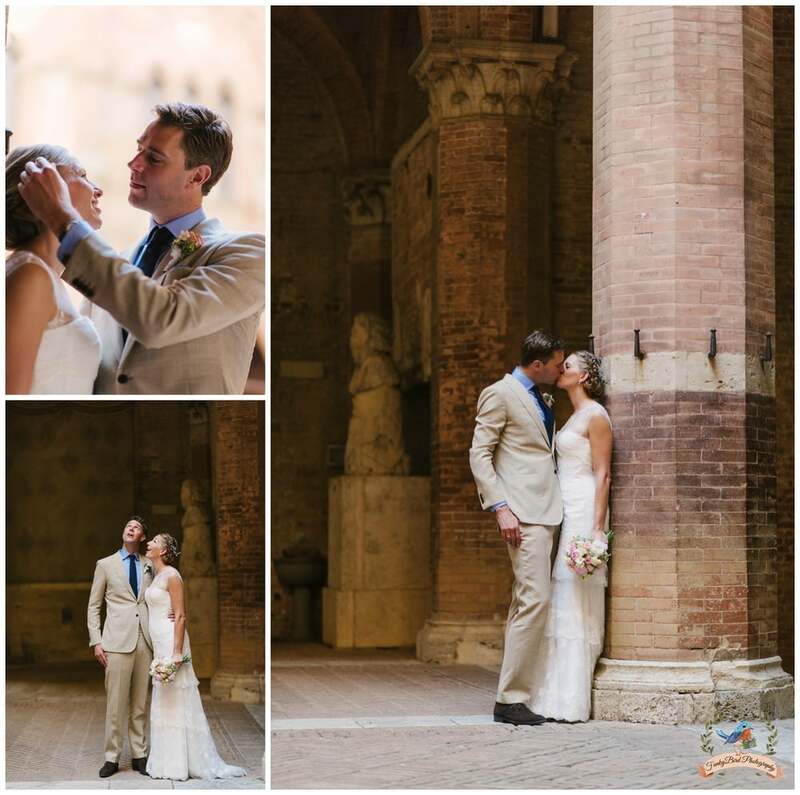 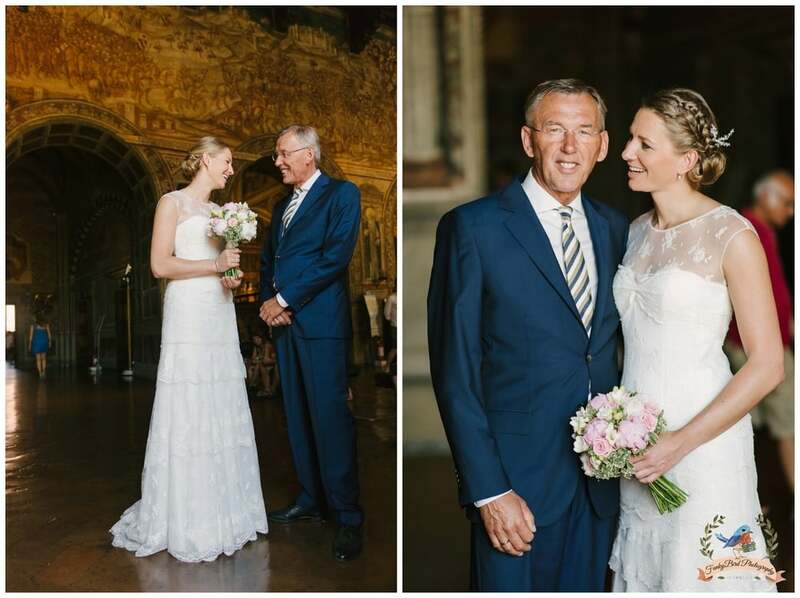 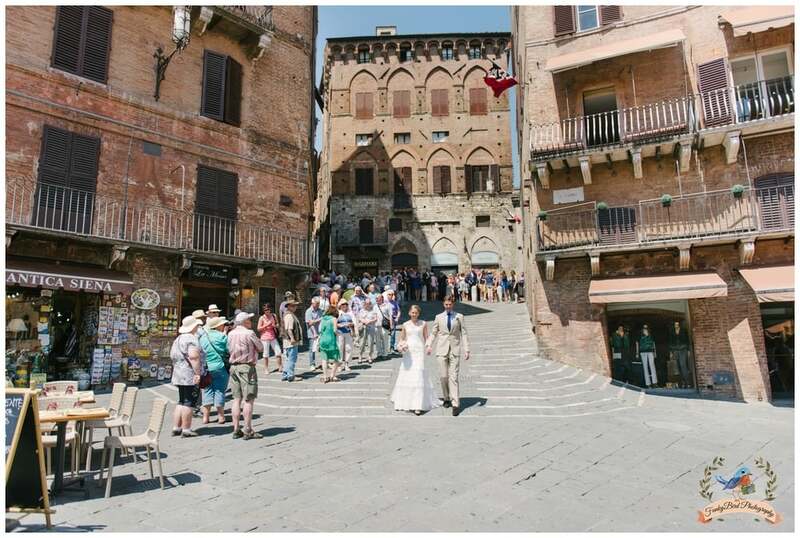 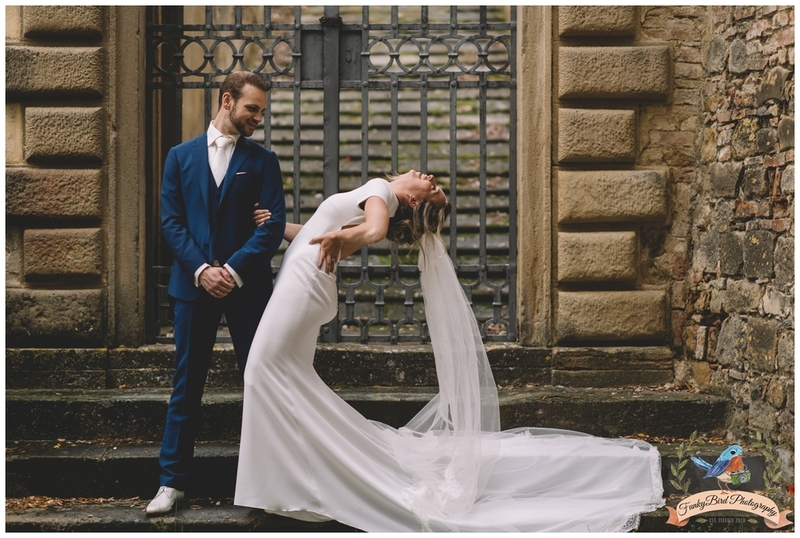 I really enjoyed working with this couple from Amsterdam who had a wedding in Siena. 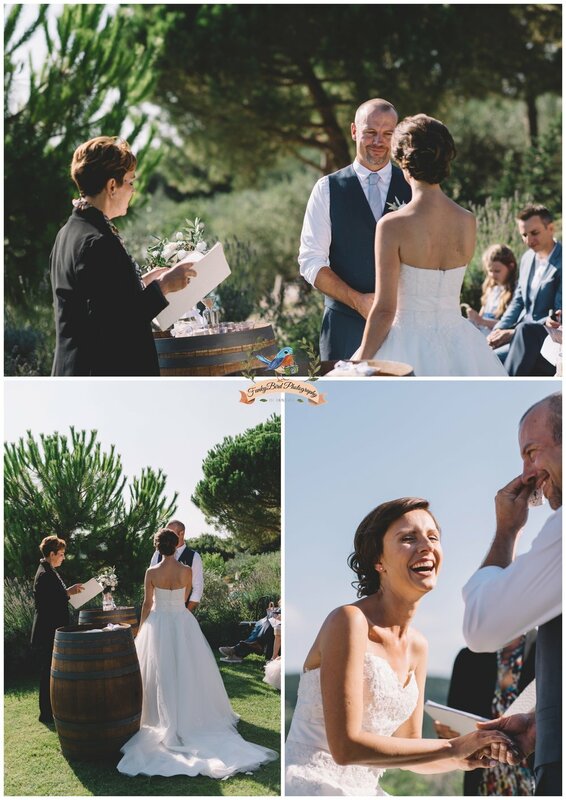 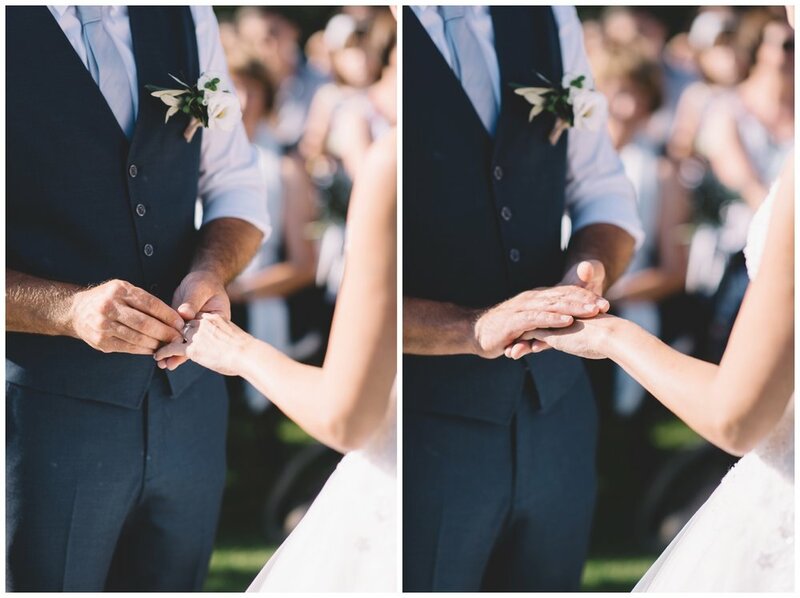 They had beautiful sunny day, and there is nothing more to ask when you have your wedding day. 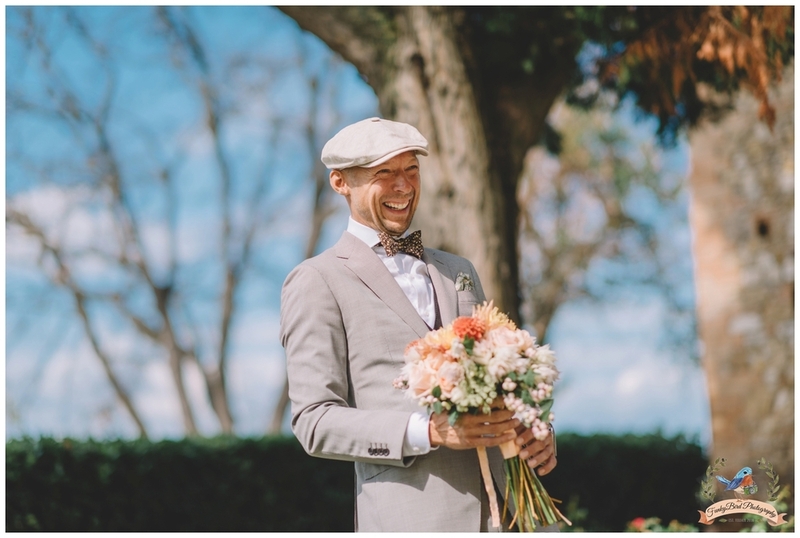 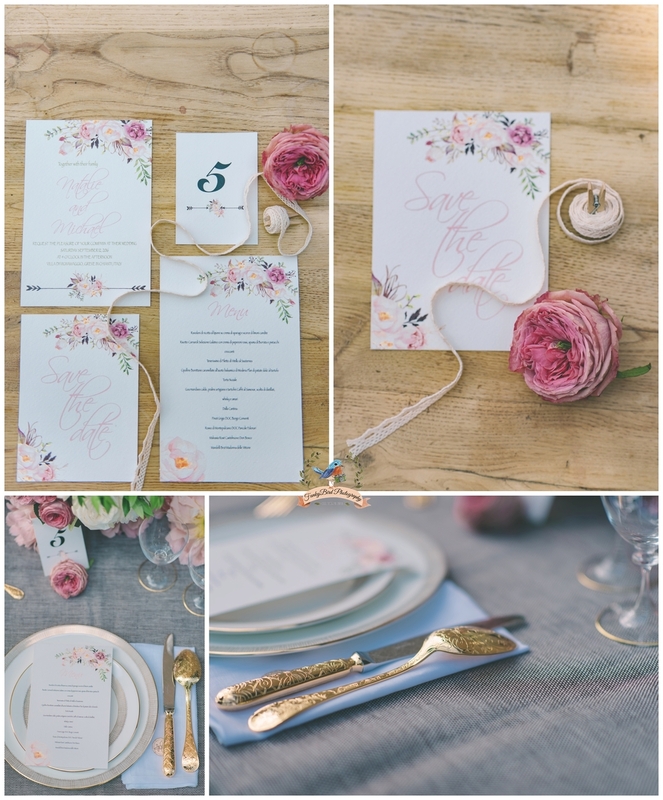 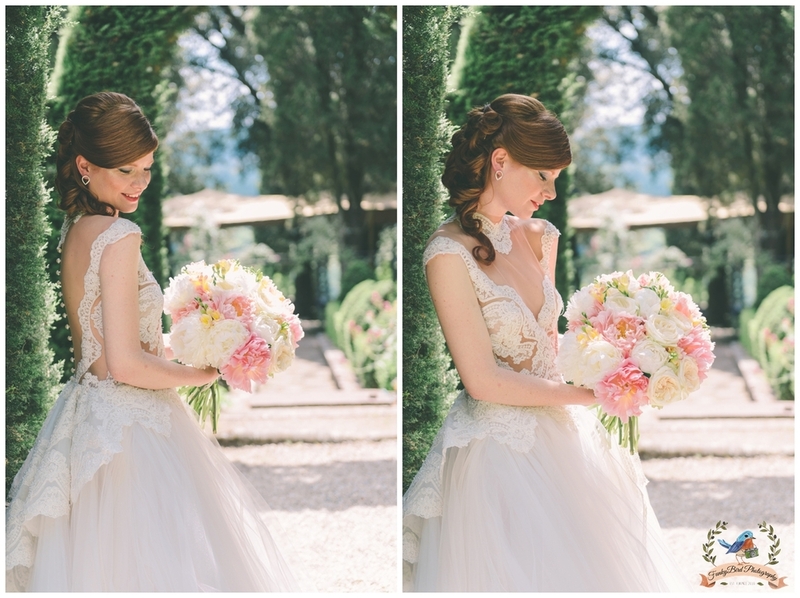 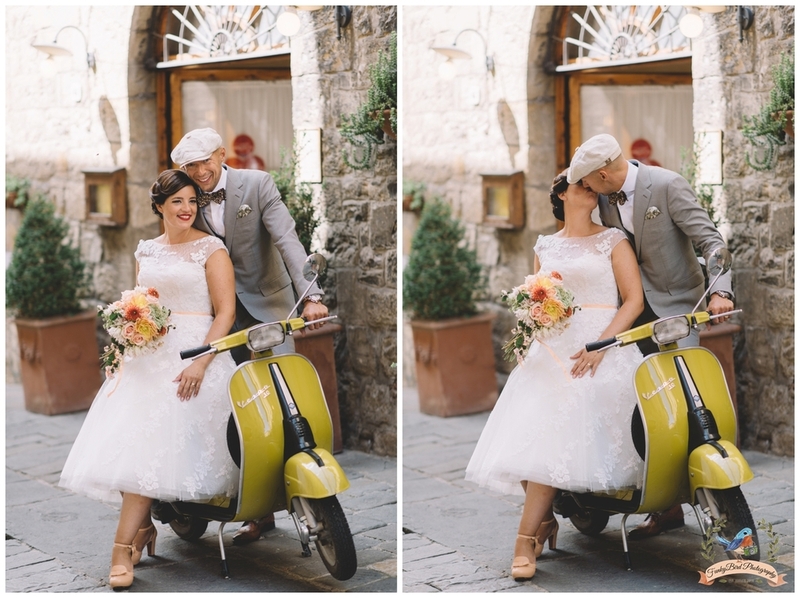 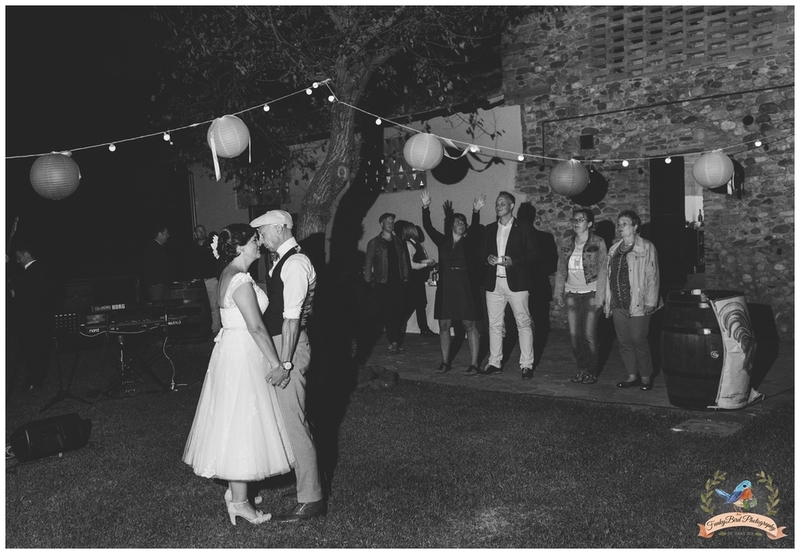 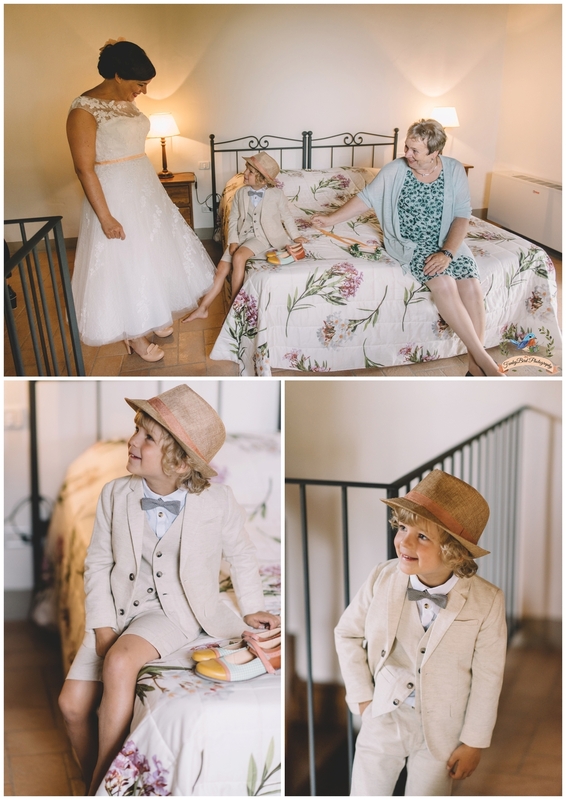 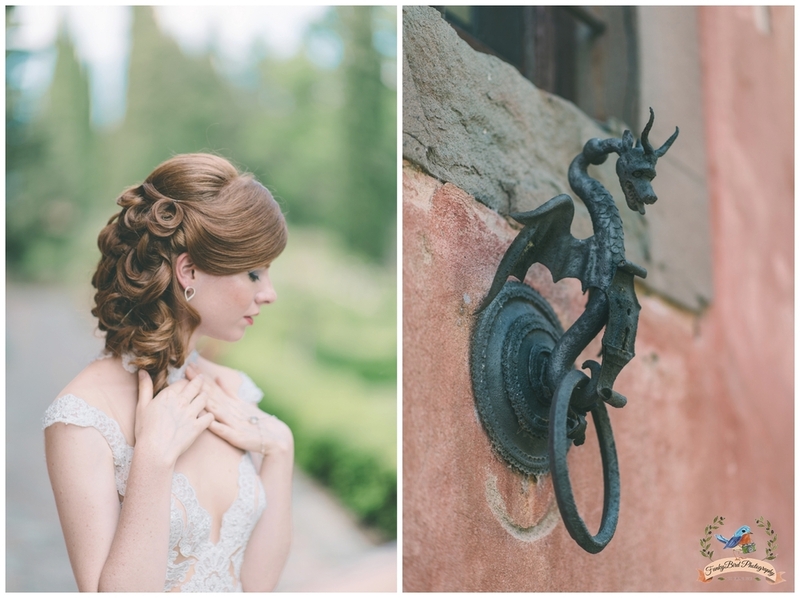 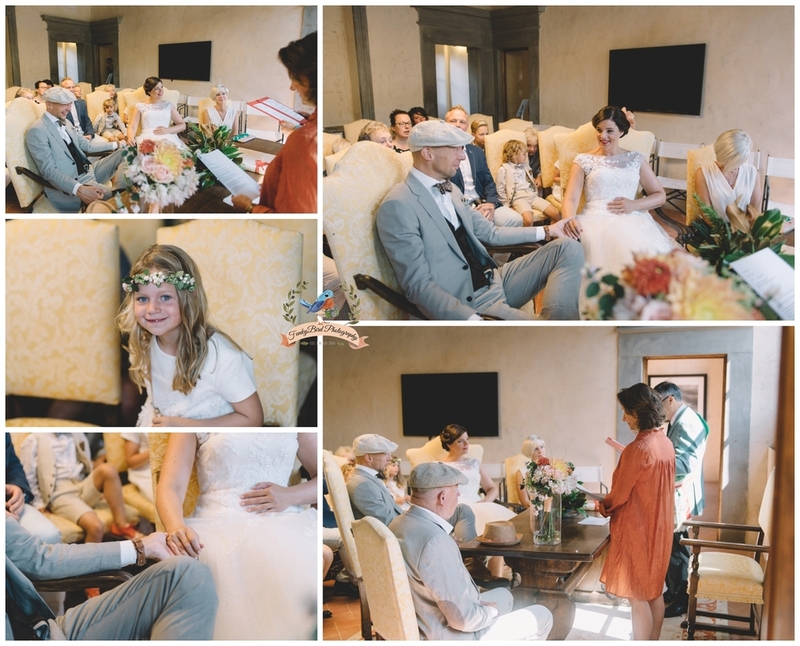 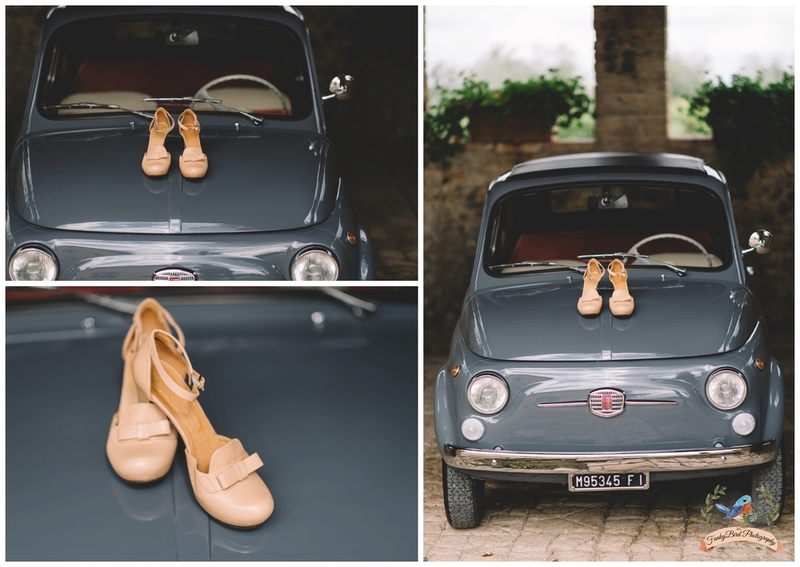 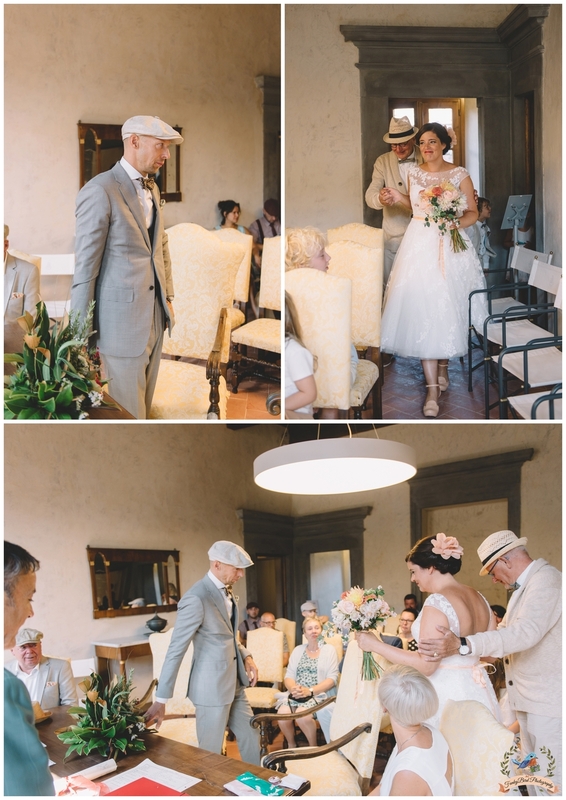 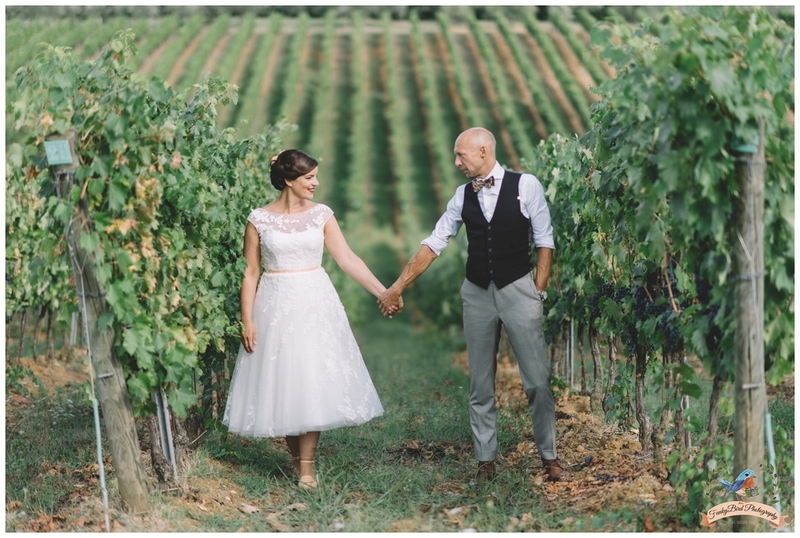 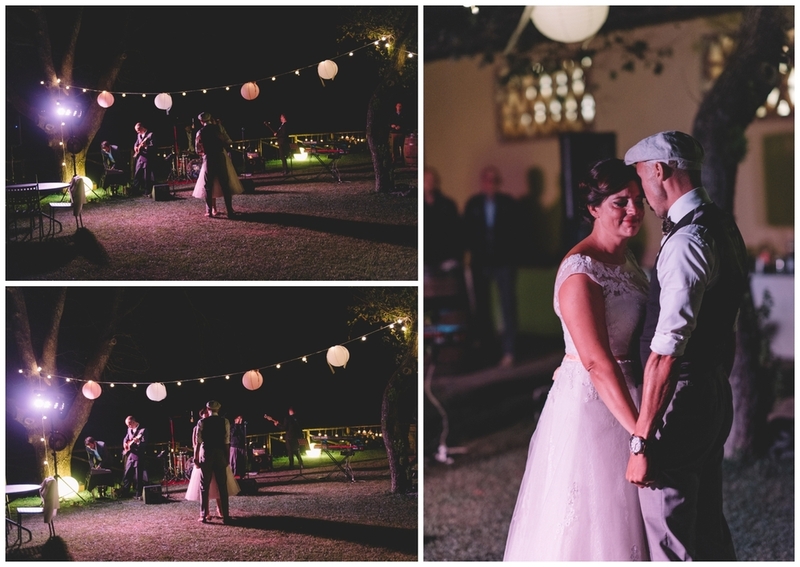 What a cute vintage wedding in Tuscany. 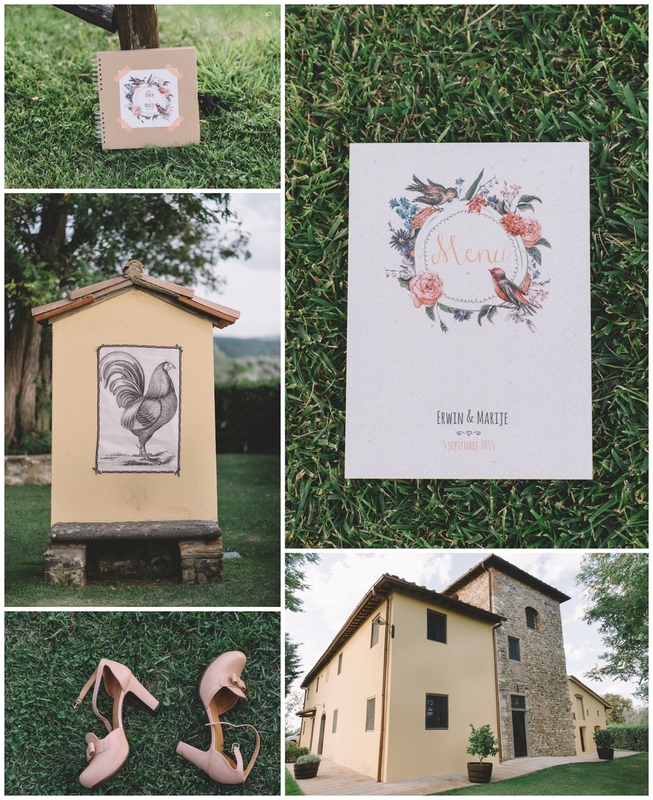 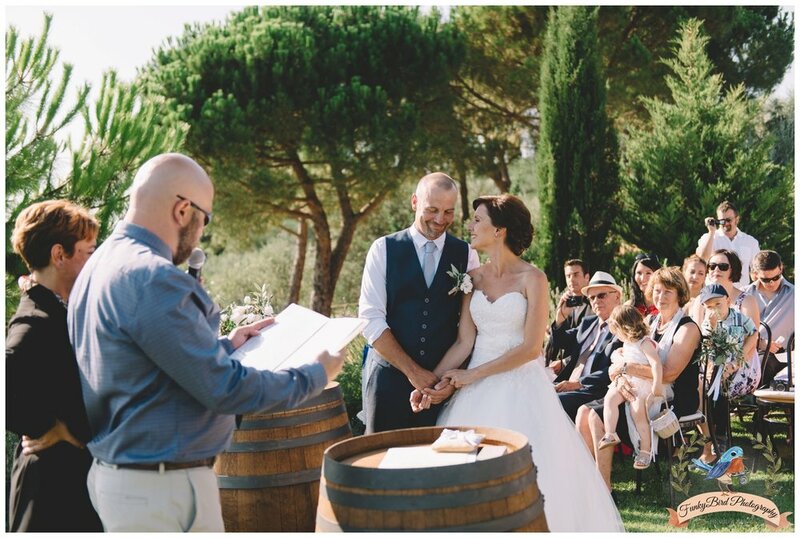 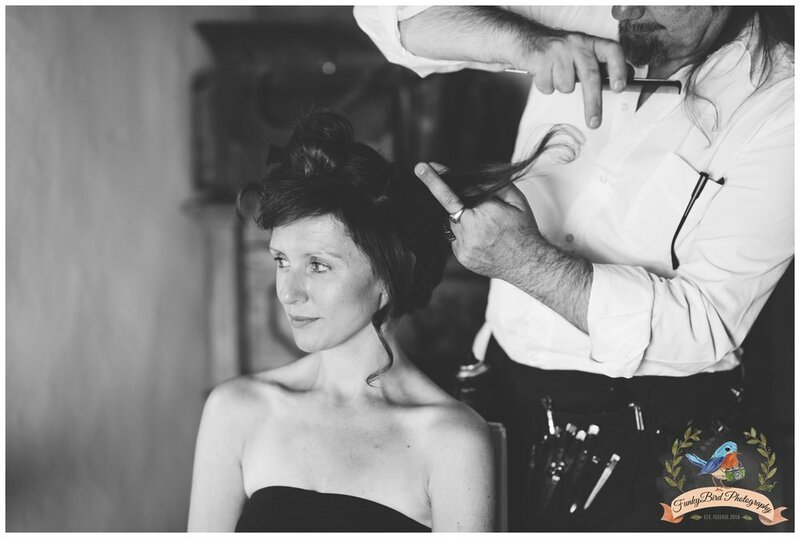 It was a pleasure working on this wedding which took place on the Chianti hills of Tuscany near Florence. 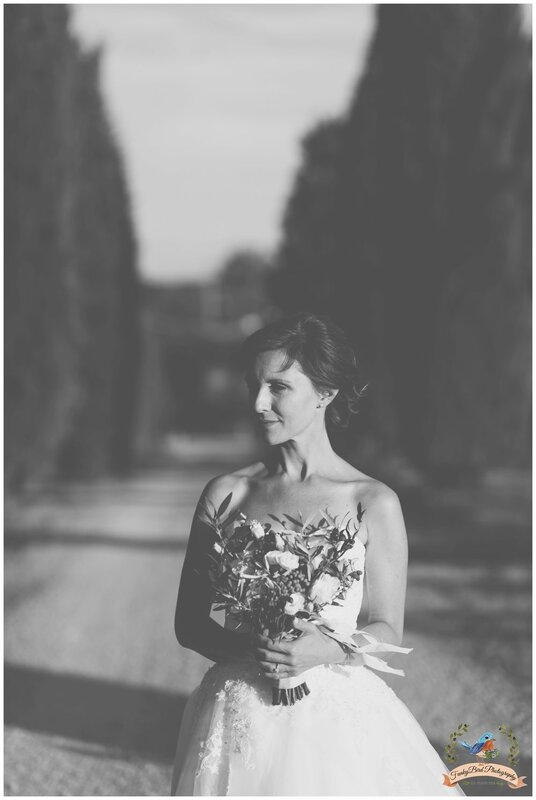 A beautiful September day and the perfect light for wedding photographs. 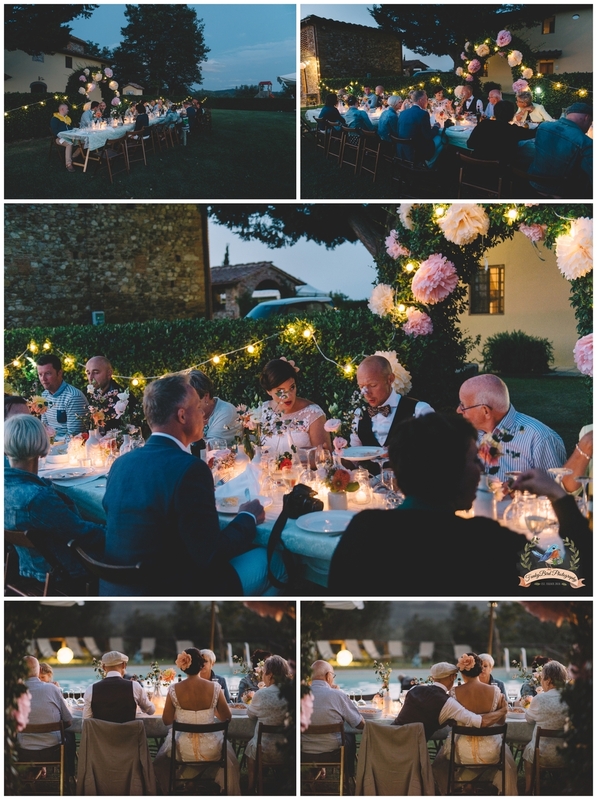 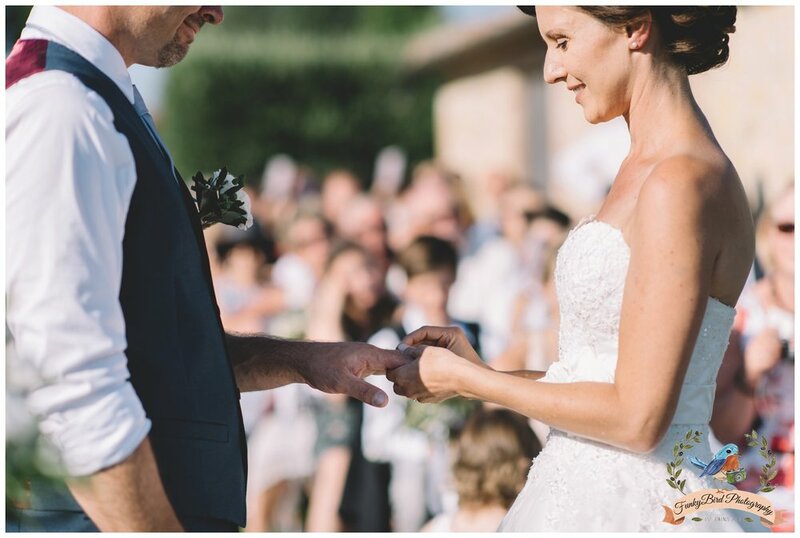 As a wedding photographer in Tuscany I am always looking for that perfect moment 'the golden hour' and on this wedding it really shines trough. 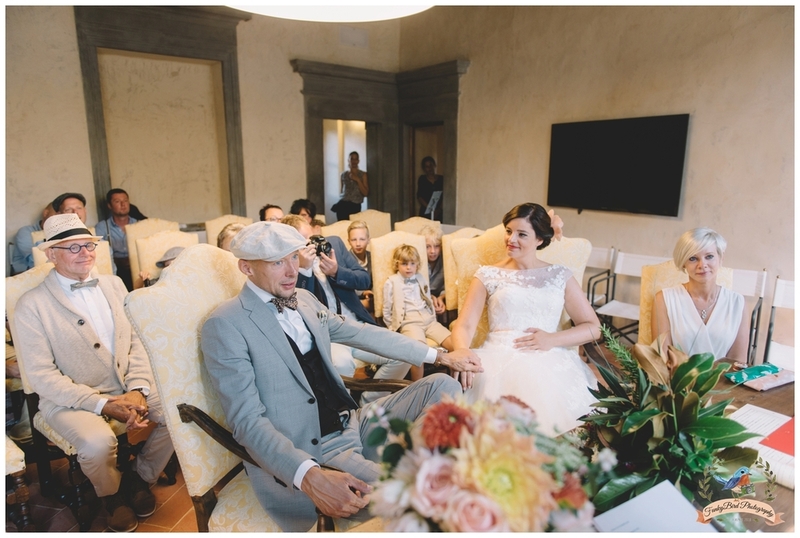 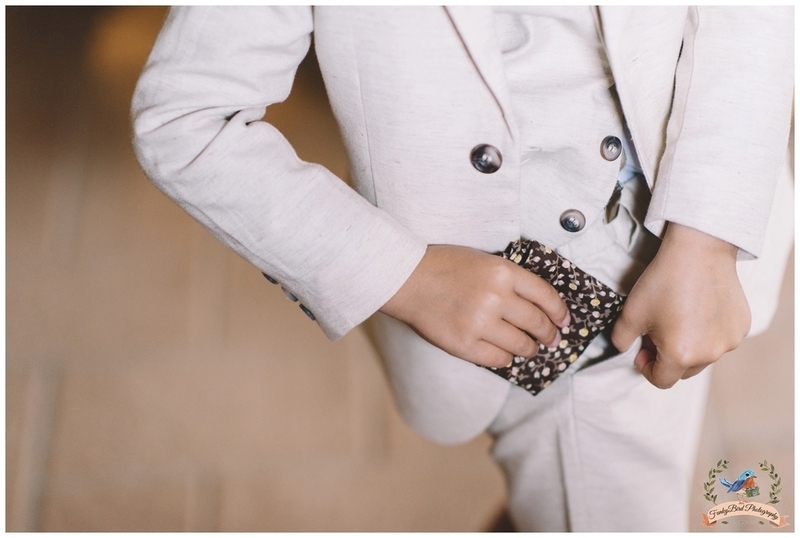 The way the bride and groom, their kids and all the guests were dressed gave a really nice touch to these wedding pictures. 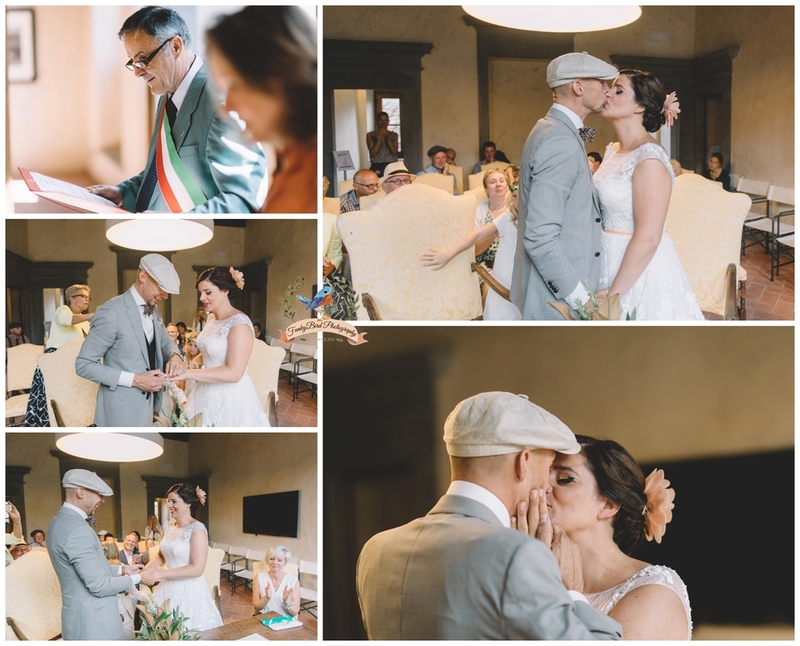 Beautiful flowers and decorations were provided by the one and only Sonja from FunkyBird Wedding Design to lift everything up on an even higher level and made this tuscany wedding even prettier. 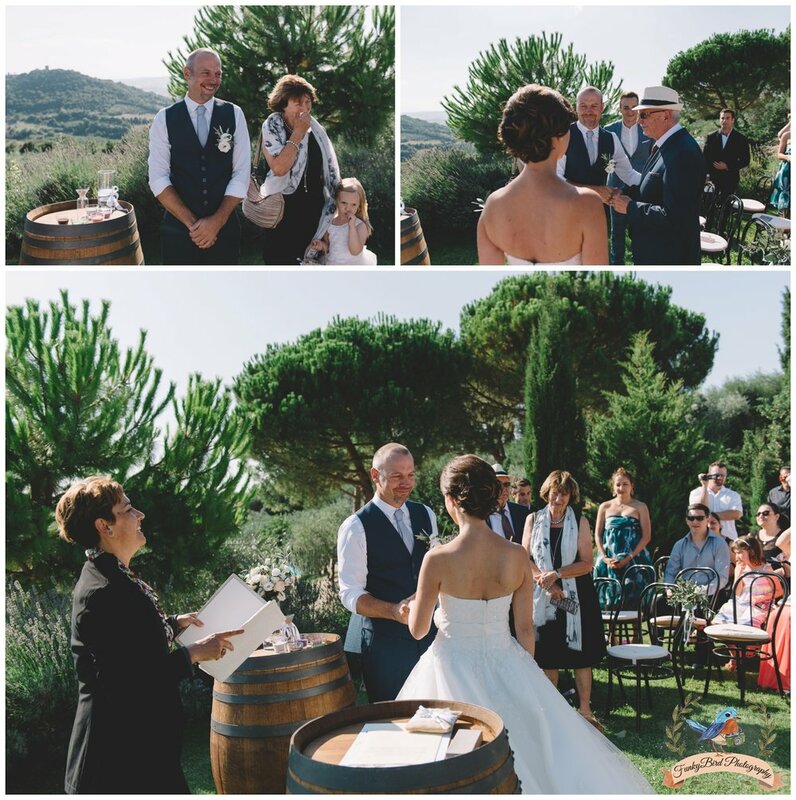 The whole day was perfectly organised by the wonderful Roos from Trouwen in Toscane.